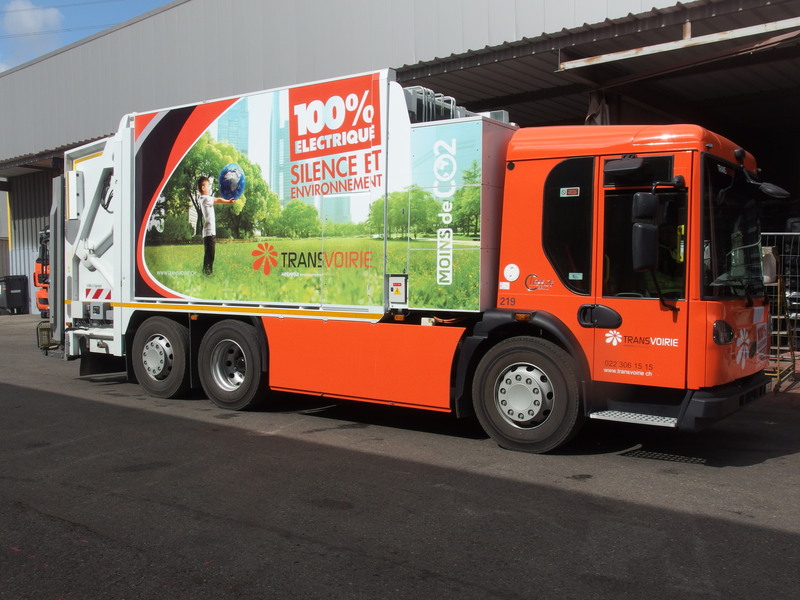 Since 15 June, Transvoirie, which provides waste collection services throughout French-speaking Switzerland, has been using a fully electric lorry for its collections on the CERN site – a first for the region! Featuring a motor powered by electric batteries that charge up when the brakes are used, the new lorry that roams the CERN site is as green as can be. And it’s not only the motor that’s electric: its waste compactor and lifting mechanism are also electrically powered*, making it the first 100% electric waste collection vehicle in French-speaking Switzerland. Considering that a total of 15.5 tonnes of household waste and paper/cardboard are collected each week from the Meyrin and Prévessin sites, the benefits for the environment are clear. This improvement comes as part of CERN’s contract with Transvoirie, which stipulates that the firm must propose ways of becoming more environmentally friendly (at no extra cost to CERN). *The waste compactor and lifting mechanism are charged via an electrical outlet, to which the vehicle is usually connected overnight.